@GovJayNixon You need to apologize for something as tone-deaf as thanking the cops that shot an unarmed child, and brutalized civilians. @GovJayNixon You're only 6 days too late. #Jackass #Ferguson Where's Mike Brown's autopsy? You could order it anytime.
.@GovJayNixon All I see is a guy that wants to be President one day, doomed by his last name. 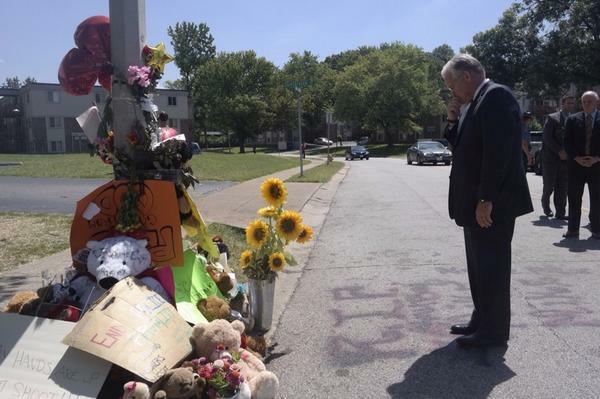 @GovJayNixon So it is possible to stand in the streets of #Ferguson and not get gunned down? Wow, whoda thunk it? @GovJayNixon you gotta assess & hold PD accountable for last few days before f'ing healing. @GovJayNixon Sure hope you caught that train you seemed to be in such a hurry to catch. @GovJayNixon Saw your press conference. Next time, please try to include a word of support for the Constitutional rights of protestors. @GovJayNixon are you the one who authorized the military police to attack the protesters? @jlangdale @GovJayNixon No, doomed by his actions - or lack therof - the last few days. @GovJayNixon @GenXMedia Please make sure the PO is held accountable! !